MON 7.1.13 Whatchu got, JULY?!? Time to reflect on June & prep for a fantastic July! Congrats to everyone for making it through another stellar month. The weather has changed and you may have noticed as the humidity rises, it’s tougher to breathe through those tough metcons. Factor the weather in as just one more challenge added to each workout, pace yourself as necessary, and do the best you can. Be proud of yourselves for continuing this tough training as the weather makes it harder! What accomplishments are you proud of in June? 2) Continued focus on recovery to stay healthy & make the most of the training sessions I have left before the meet, to include: sleeping 8+ hours a night, twice a week chiropractic adjustments & ART, 6x a week foam rolling/mobility work, drinking plenty of water, eating clean, limiting alcohol, taking epsom salts baths, continuing supplementation with fish oil, nighttime recovery, pre-workout Muscle Fuel, post-workout SFH Recovery & Fortified. What were your high points of June? What are your goals for July? Let’s keep this blog comments momentum rolling...share in the comments! This month’s programming is focused on preparing all of our CFM athletes for Quarterly Progress Checks at the end of the month (the week of July 22nd...mark your calendars!) AND on training our participants in CFM’s Summer To Helen Back challengers to improve on their Helen times... stay tuned for a longer blog post tomorrow with details on what to expect from July programming. Good luck to all our CFMericans running the Peachtree Road Race! If you’re not running but still want to join the CFM community to cheer on our team, join Lis & Jeremy...(who else is in?) Thursday morning at 11th & Peachtree to celebrate CFMerica this 4th of July! 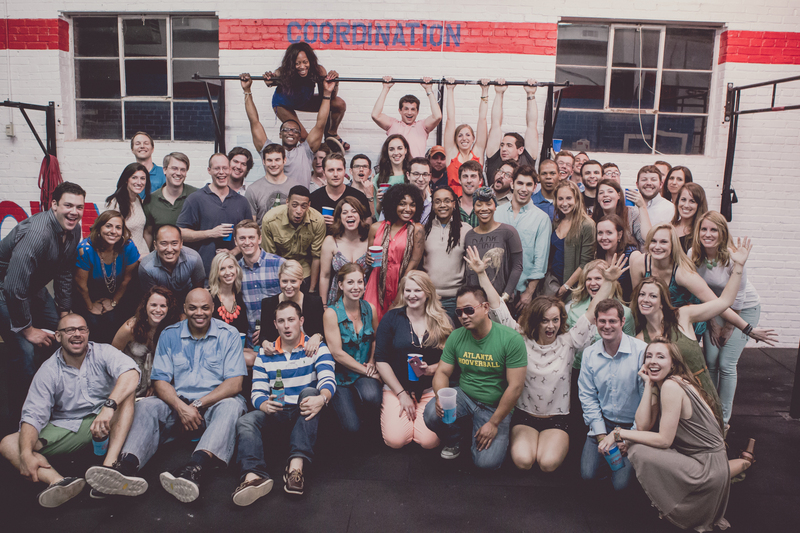 What a good-lookin' bunch of peeps at CFM's 1st Anniversary Party back in May! *Jump as far as you are tall each time (mark the floor w chalk for your height). *For each broad jump you do not jump at least as far as your height, add a 1-burpee penalty after time expires. FRI 6.28.13 Helen Prelims are tomorrow! To Helen Back Prelims are Saturday! We've got over 30 challengers this time around. Heats begin at 10:30a. Show up 30 minutes early to check in, get your shirt & warm up. If you can hang around afterward, we'll need some help judging/counting reps.
Email Tirzah if you still need to select your heat time. Let's go TO HELEN BACK! No 10 & 11a Saturday classes this week! If you're not a Helen challenger, your training options are the 9am team WOD, or 12n-2p Open Gym to work on Olympic Lifting with Cheryl. Welcome back to handsome devil Lee H, pictured here as a confused bachelorette at the Anniversary Party. 12n-2p Olympic Lifting Open Gym w Cheryl! THURS 6.27.13 Congrats to BEKA, our new Assistant Operations Manager! 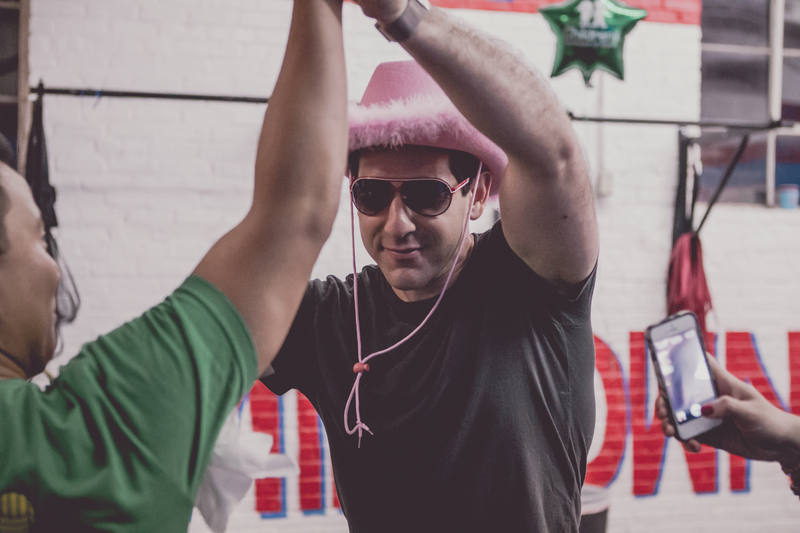 The CrossFit Midtown community is growing. And as our student body and programs expand, so does our need for a strong team. I'm so proud to announce, as we build that team, that Beka was promoted this month to Assistant Operations Manager at CFM! If you train in the mornings, you know Beka well already as she coaches the early birds four days a week. She's also added a few noon classes to her coaching schedule, as well as some intro sessions. Beka will also be helping with some event planning, accountability & nutrition coaching, and she'll be taking the CFM reins while I'm on vacation next month (Amen :)). 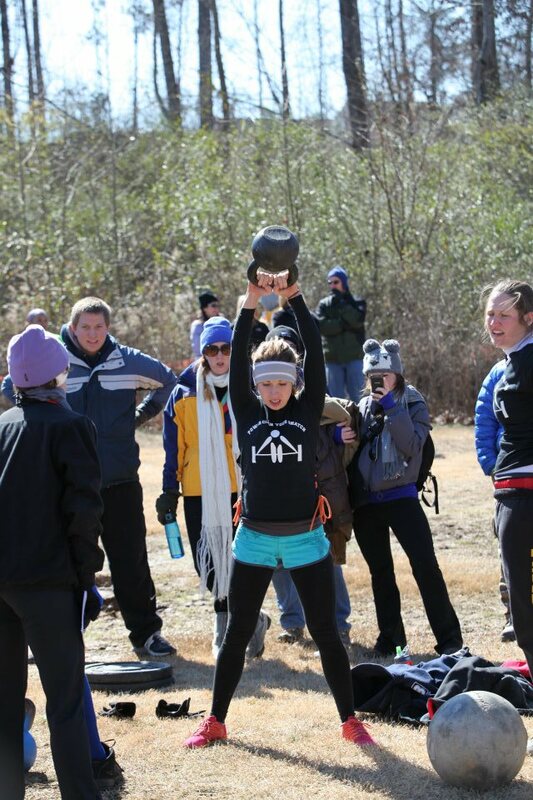 Beka came to us from another local CrossFit gym, with some CrossFit & boot camp coaching experience. She heard about our Instructor Training Program (ITP) last fall & contacted me to learn more. We met a few times, and soon she was active in ITP, then coaching classes, & now she helps run the program along with Cassie! Along with Cassie & Carlos, Beka also recently attended Carl Paoli's Freestyle Connection Movement Seminar. We'll share more of her tips from that workshop on the blog next week. Congrats on your new role Beka, and thanks for all you do! As always, let any of your CFM coaches know how we can help improve your training & quest for better health & fitness. Beka competing at a spring 2012 Garage Games CrossFit event. As I laid at the pool Sunday until almost 8pm with FULL SUN, it hit me that summer is here. All the good - pool & lake time, sunshine, afternoons at the park... and the bad - thunderstorms, mosquitoes, muggy days (and nights!) are here to stay for the next few months. At CFM, we've got lots in store for you: the Helen Challenge, another CFM Happy Hour each month, Quarterly Progress checks in July, another Food as Fuel session in August, some fun with our neighbors Fab'rik & Big Peach Running Co and more Olympic Lifting awesomeness with Cheryl Haworth. I'm personally looking forward to seeing everyone's progress with the Helen Challenge. I'm also gonna finish settling into my new apartment, take a few weeks vacation next month (part work - USAPL Nationals, the CrossFit Games & a BIZ seminar... and part play - visiting my family & hitting the beach! ), and celebrate my birthday in August! What are your plans for summer? What's important to you between now and Labor Day? Let us know what's important to you this season. Post in the comments. How will you make this your best summer ever? 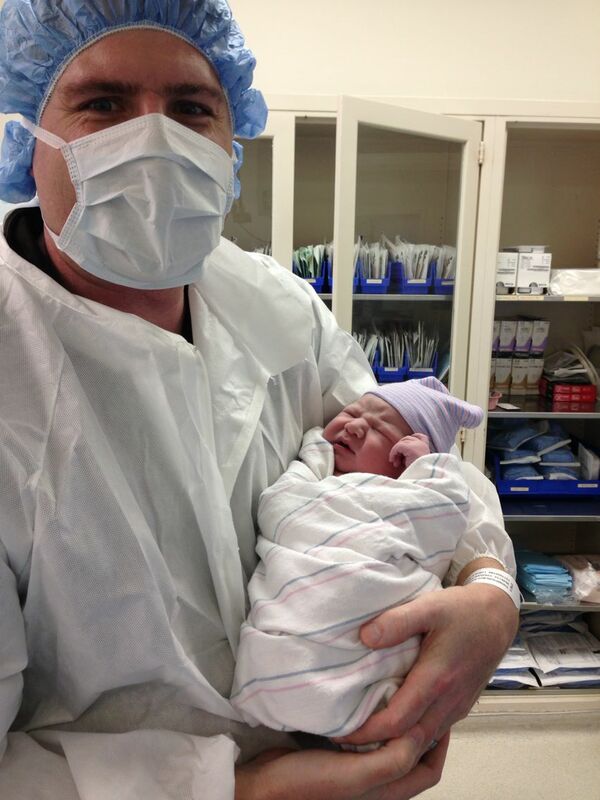 Congrats to Big Dan F & his wife Nancy on the birth of their BIG 10# BOY, John Jackson, born 6.24.13! This Saturday's 10 & 11a classes will be cancelled for the To Helen Back Summer Challenge Prelims. if you're not doing the Challenge (you can still register! ), your only training option Saturday will be in the 9a class. CFM will be closed on Thursday, July 4th. Friday, July 5th AM classes are also cancelled... So your training options on 7/5 will be 12n, 4p, 5p & 6p. Sat & Sun, 7/6 & 7/7, will be a regular schedule. We're discontinuing Ninja Training for the time being. But stay tuned for details on a few running workshops to help your Helen times! 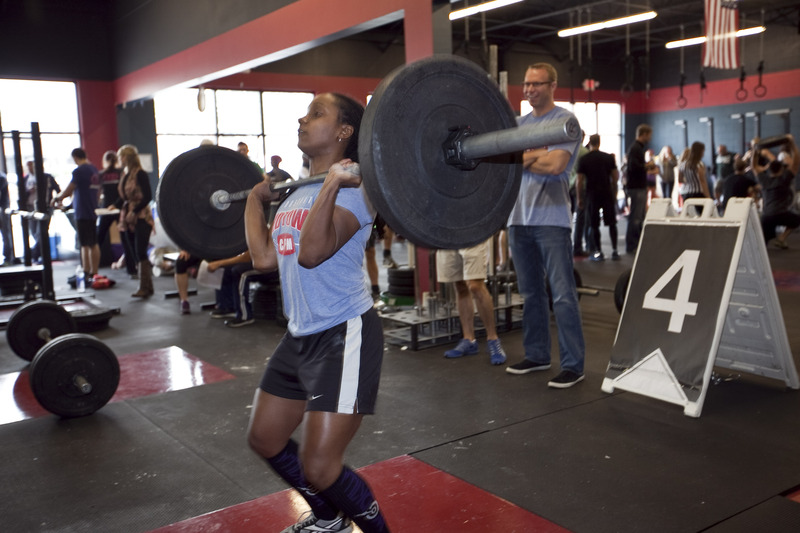 Krystol crushing cleans at last fall's AAL competition. A. 3-position clean: 10 rounds, every minute on the minute. Use last week's high hang clean weight OR 50% of your clean one-rep max. Matt getting a muscle up on his first attempt Friday...in his first week of CrossFit! 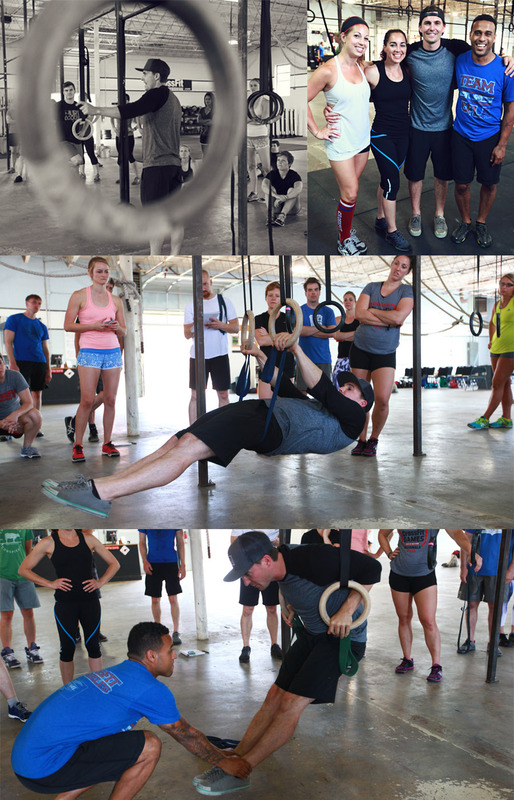 Beka, Carlos and Cassie attended Carl Paoli's Freestyle Connection Movement Seminar a few weeks ago... here are a few photos of Carl teaching the muscle up progression. Focus on driving your hips up! 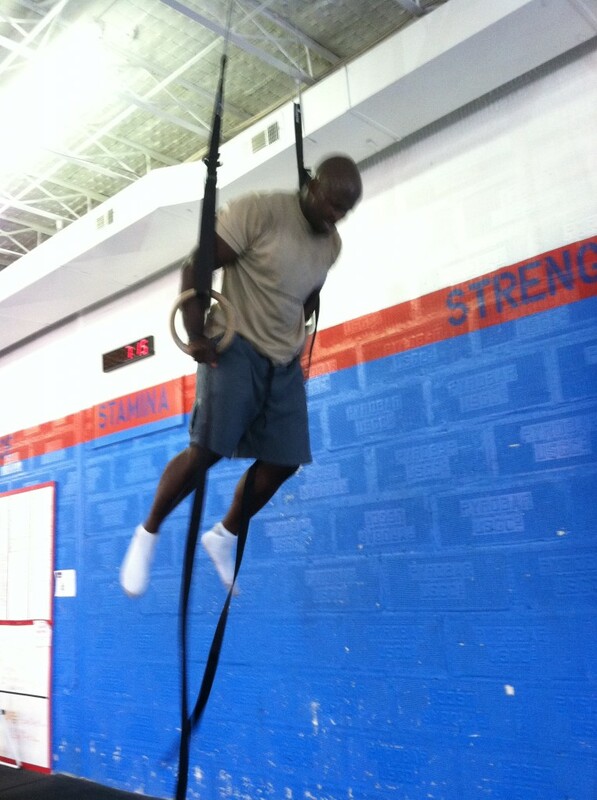 *Sub 3 ring dips & 3 chest-to-bar pull ups for each muscle up. A. Strength: Make up a lift you missed this week.